It’s no secret that traveling with young children presents unique challenges for parents. Getting just one kid through the airport, onto a flight, and out the other side is difficult enough, and it becomes exponentially more difficult with each additional child. But what’s a parent to do? There are relatives to be visited, family vacations to be taken, and a world of wonder for kids to experience. Rather than avoiding the airport, try these three tips for navigating the airport with kids. This is a good tip for any travel, but it’s especially important for traveling with kids. Before leaving home, book a car or limo service well in advance and allow for plenty of time in case of unexpected delays. Print or download boarding passes and keep them somewhere easily accessible like a shirt pocket. Avoid shoes, belts, and other items that are difficult to take off and put house keys and other non-essential items in bags before going through security. Nobody wants to be scrambling to empty their pockets before security with kids in tow. Don’t make things more difficult than they need to be. Avoid the hassle of parking by taking an airport car or limo service. If the airport offers a children’s play area, let the kids use it while you wait. Whenever possible, let airline or airport staff assist. You’ve got enough on your plate when traveling with kids. Book car service with Echo Limousine, one of the best-reviewed limo services in the Chicago area. 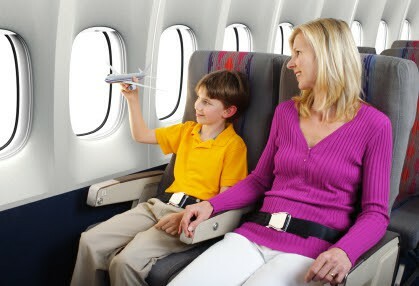 Whether you’re flying to or from Midway or O’Hare, we will get you and your family there safe and on time. Call us at (773) 774-1074 to make your reservation.